During the first week of March, stock markets continued their recovery despite Chinese macro-economic data releases failing to impress and European updates being only marginally better than expected. The drivers were oil prices rising back to $39pb and robust economic data for the US economy, including very strong new job numbers clearly showing that the US economy is not heading into recession. This insight may have also contributed to the mid-week turn in the bond markets, where long term bond yields finally followed the lead from the stock markets and cautiously rebounded from the previously extremely low levels. The initial bounce from the mid-Feb lows has, over the past 2 weeks, turned into a more pronounced market recovery, akin to that of October 2015 – which followed a similarly severe sell-off. 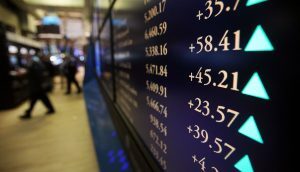 The markets were most probably wrong in pricing in a severe economic downturn in January and February, but the excessive media focus on all the things that might go wrong and undermine the economy did result in a vicious circle, which did not help improve the generally weak business sentiment towards investment and growth. Furthermore, the strong US employment and decent economic data increase once again the prospects of further rate rises by the US Fed in the near term, whereas the markets have currently not priced in the next move until the autumn. Rapid expectation adjustments have the propensity to disturb capital markets and it is therefore likely that 2016 market developments will continue to be characterised by the stop-start we have now seen since the last summer. For the time being, however, We are pleased and somewhat amused with how the improving market valuations have also lead to an increased number of commentators willing to say “actually things are not so bad” – refreshing after all the doom and gloom talk in the first 2 months.